Jeff Bezos is getting the hang of trolling on Twitter. The Amazon (AMZN) founder, who also leads the private space flight company Blue Origin, congratulated Elon Musk after his company SpaceX successfully landed a rocket upright on Monday. But those well-wishes may not have been totally genuine. When Blue Origin became the first company to achieve a vertical landing of a rocket that had traveled into outer space last month, Musk tweeted his own congrats to Bezos. But he then promptly followed up with a Twitter tirade downplaying his rival's accomplishments. Bezos didn't respond to Musk's tweets at that time, but he clearly sought to put his own company's achievements ahead of SpaceX's in his "congratulations" on Tuesday, tweeting "Welcome to the club!" The Bezos tweet sparked dozens of comments, almost all of which criticized him for suggesting that what Blue Origin had done was on the same scale as SpaceX. 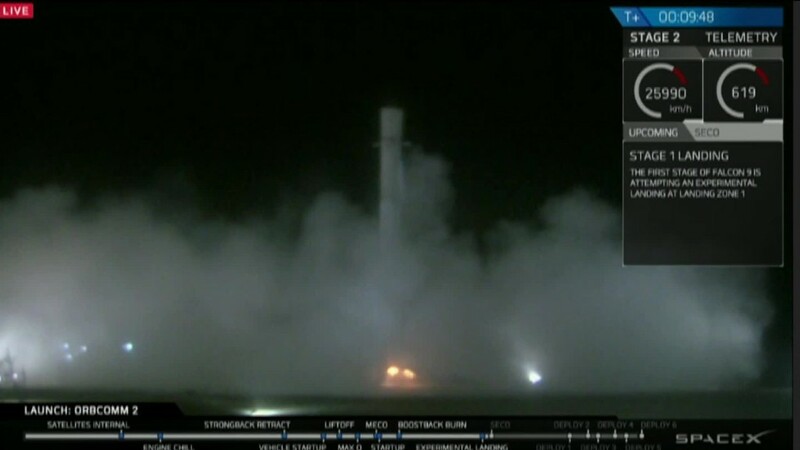 The SpaceX rocket that landed Monday successfully launched satellites into orbit. The Blue Origin rocket that landed upright in November made a much shorter sub-orbital flight. The SpaceX rocket also was much taller than the Blue Origin rocket. One response to Bezos' tweet included a meme which showed the Miss Universe crown being taken off of Miss Colombia, who was wearing a virtual sash that said Blue Origin, and given to Miss Philippines, who was now wearing a sash reading SpaceX. But while SpaceX surpassed Blue Origins' accomplishment this week, that wasn't the case back in November when Musk first went off on his Twitter rant. Musk, who is also CEO of Tesla (TSLA), suggested that SpaceX had already achieved what Blue Origin did that day, even though the SpaceX flights he was referring to never came close to reaching outer space. The Blue Origin flight in November traveled 100 times higher and reached the edge of outer space. Musk also said in November that SpaceX flights had achieved a much tougher objective of reaching orbit. But its attempts to land those orbital rockets upright had failed in spectacular crashes. Landing rockets upright is crucial to cutting the cost of space travel, since that means the rockets can be reused. Most rockets that have carried people or satellites to outer space over the last 58 years have been discarded after their launch, often burning up upon reentry. While Musk is a prolific tweeter, Bezos is still a novice, despite the fact that he was an early investor in Twitter. He has only tweeted five times.